Have you been thinking about booking vacation rentals for the summer that offer easy access to the best southern sports and recreation? Well, choosing Saint Simons real estate that is located within a mile of the beach or has its own pool is a good place to start. Oftentimes, nightly rates for these conveniently located rentals are less than $300 and include a boatload of amenities. 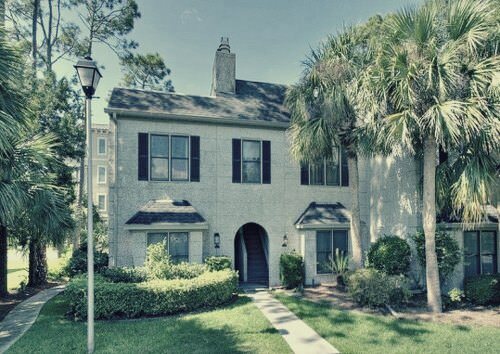 Some homes that fit the bill are located in the village area, like this St Simons Island Beachcomber vacation rental property. Itâ€™s close to the Village District, community pool and the beach. Plus, it has two bathrooms and sleeps four people. The Village District, by the way, has much to offer in terms of summertime recreation. For example, there is a miniature golf course, picnic area, fishing pier, lighthouse, playground, restaurants and shops in the area. Many of the shops rent or sell equipment needed for summer fun. Ones that come to our minds are Two Brothers Bike Shop, St. Simons Bait & Tackle, Southeast Adventure Outfitters and St. Simons Beach and Surf. They can help you gear up for activities like kayaking, paddleboarding, horseback riding, disc golf, scuba diving, hiking and more. And as for the area restaurants and bakeries, they are great places to pick up picnic supplies, fresh produce and meats for the grill. Some of the Saint Simons real estate for rent comes with an on-site grill and others have grills nearby. The nearby grills are often located in the local parks, like Massengale. So feel free to cook some freshly caught seafood over the coals while the kids hit the playground, pool or beach. To learn more about Saint Simons summer rentals, please contact us at DeLoach Sothebyâ€™s International Realty today. We have a number of beautiful, beachfront rentals available by the day or week. St. Simons Island Real Estate: Celebrate Independence Day Island Style!